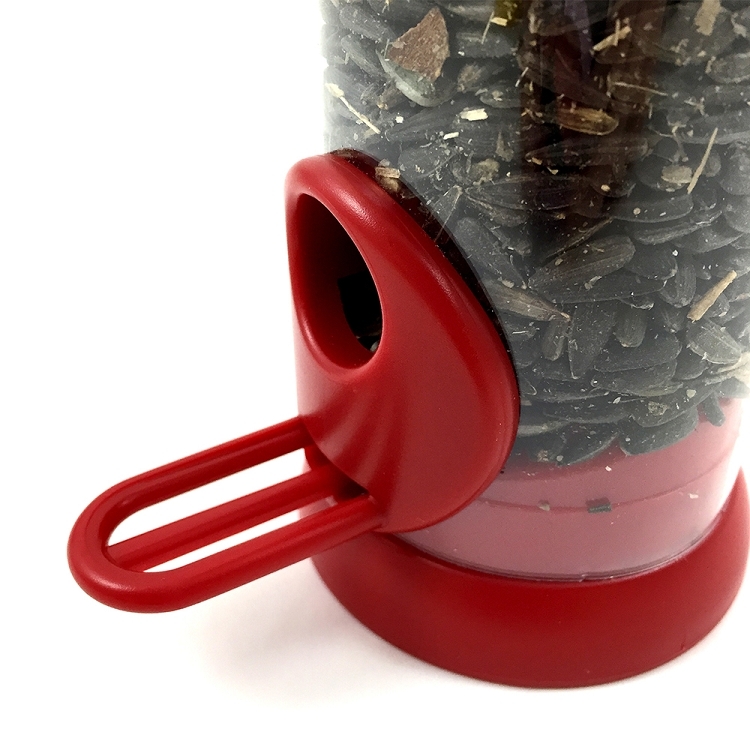 Home > Wild Bird Essentials > Bird Feeders > Tubular Feeders > Tubular Seed > Droll Yankees Bird Lovers Red Seed Feeder 15"
Add vibrancy to your birding sanctuary! 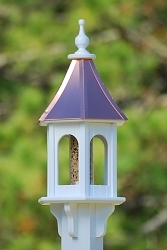 Versatile 15" feeder attacts a wide variety of colorful songbirds! 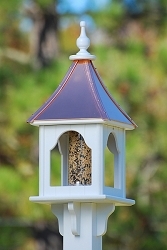 The red base and top of the Bird Lovers 15" Sunflower/Mixed Seed Feeder will add vibrancy to your birding sanctuary. 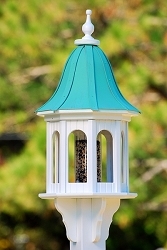 The four perch locations allow birds to dine simultaneously. 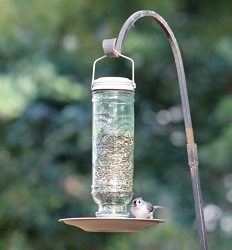 A durable, UV-stabilized polycarbonate seed tube keeps seed levels visible at all times. 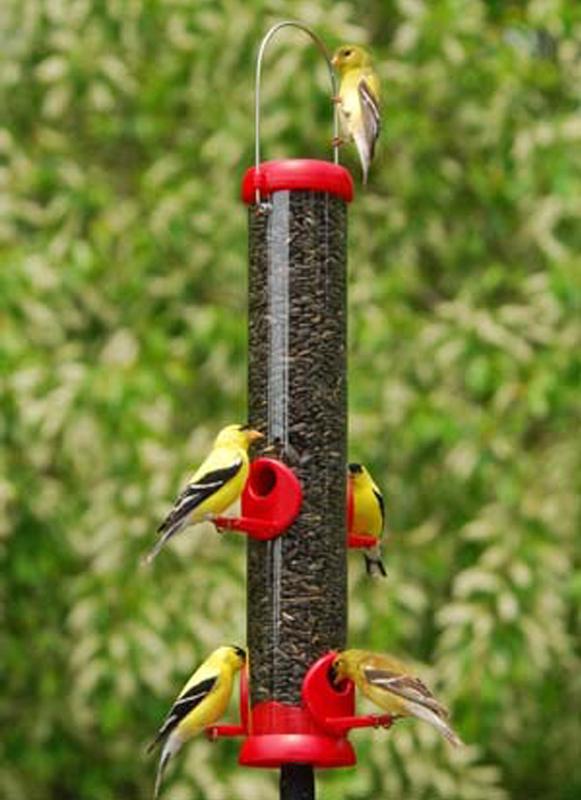 The feeder has 1 lb. seed capacity. Angled seed baffle inside the tube to prevent seed from gathering and spoiling. 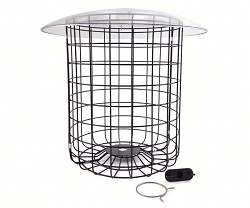 Ten small drainage holes allow water to drain and air to circulate, keeping seed even fresher. 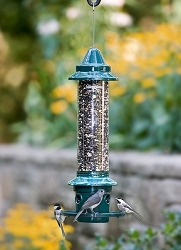 Hang or pole-mount using the stainless steel wire or threaded base. 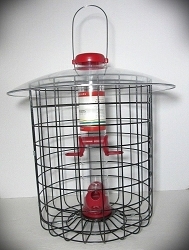 Threaded base also allows this feeder to accept any of the Droll Yankees seed trays and threaded accessories including the RETRO Domed Cage. Made in the USA!